The GaraMatic 20 is the perfect solution if you are looking for a highly secure and reliable automatic garage door operator. Smooth and quiet operating action coupled with innovative Bisecur technology that means you can easily open and close your door from further distances, makes this automatic operator an excellent choice. 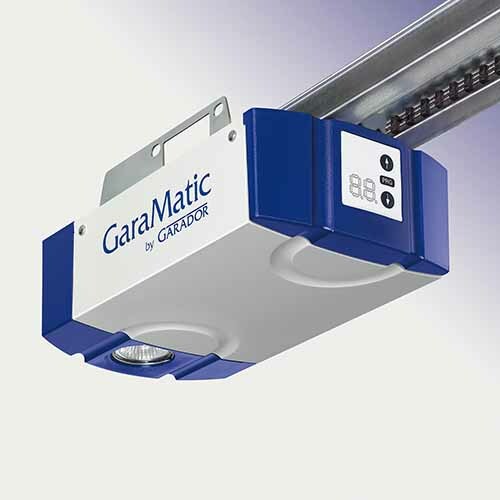 The GaraMatic 20 operator comes with 1 x 5 button hand transmitter and 1 x 2 button hand transmitter as standard. Now you won’t need to leave your car when you need to open or close the door. Like all other GaraMatic models it comes with integral anti-burglar device and also complies with the latest European safety regulations.